Material handling solutions for your application. 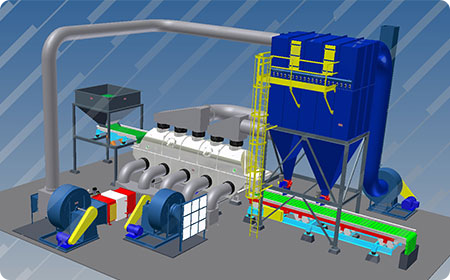 We have the diversity and experience to build new material handling systems or retrofit your existing system. No other manufacturer can match Carrier's overall design, integration, and production. Read more on our custom design capabilities. We offer the industry's best testing laboratory, with over 20,000 sq. ft. dedicated to research and design. Our lab testing program verifies design requirements are met and allows us to offer a process warranty for your specific application. Read more on our test lab. All machinery produced by Carrier is manufactured to meet your specific needs. We provide new equipment to customers worldwide, and also offer a variety of rental equipment packages. Process test in our lab or your facility! 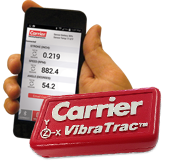 An innovative device and smartphone app that measures vibratory equipment speed and stroke. Available only from Carrier. Visit us to learn more about our customized solutions.